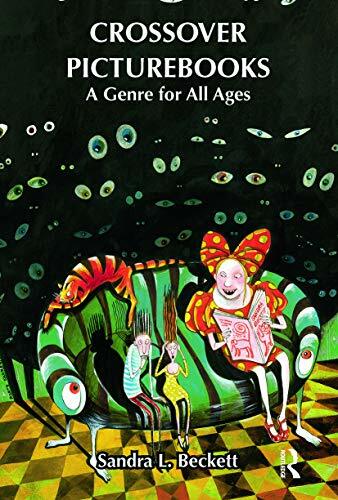 This book situates the picturebook genre within the widespread international phenomenon of crossover literature, examining an international corpus of picturebooks ― including artists’ books, wordless picturebooks, and celebrity picturebooks ― that appeal to readers of all ages. Focusing on contemporary picturebooks, Sandra Beckett shows that the picturebook has traditionally been seen as a children’s genre, but in the eyes of many authors, illustrators, and publishers, it is a narrative form that can address any and all age groups. Innovative graphics and formats as well as the creative, often complex dialogue between text and image provide multiple levels of meaning and invite readers of all ages to consider texts that are primarily marketed as children’s books. The interplay of text and image that distinguishes the picturebook from other forms of fiction and makes it a unique art form also makes it the ultimate crossover genre. Crossover picturebooks are often very complex texts that are challenging for adults as well as children. Many are characterized by difficult "adult" themes, genre blending, metafictive discourse, intertextuality, sophisticated graphics, and complex text-image interplay. Exciting experiments with new formats and techniques, as well as novel interactions with new media and technologies have made the picturebook one of the most vibrant and innovative contemporary literary genres, one that seems to know no boundaries. Crossover Picturebooks is a valuable addition to the study of a genre that is gaining increasing recognition and appreciation, and contributes significantly to the field of children’s literature as a whole. Sandra L. Beckett is Professor of French at Brock University. She is the author of Crossover Fiction: Global and Historical Perspectives (Routledge, 2009), Red Riding Hood for All Ages: A Fairy Tale Icon in Cross-Cultural Contexts (2008), Recycling Red Riding Hood (Routledge, 2002), and De grands romanciers écrivent pour les enfants (1997). She is the editor of Transcending Boundaries: Writing for a Dual Audience of Children and Adults (Routledge, 1999), and Reflections of Change: Children’s Literature Since 1945 (1997), and the co-editor of Beyond Babar: The European Tradition in Children’s Literature (2006).